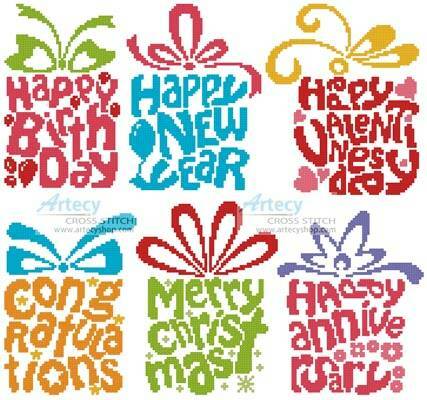 Celebrations Card Set cross stitch pattern... This counted cross stitch pattern is for Celebration Greeting Cards. Image copyright of Vectomart. Each design is approx 60w x 80h. Only full cross stitches are used in these patterns.